Dieting with a silent ‘t’ or Eating with a capital ‘E’ means it is better to eat ourselves slim, rather than starve ourselves thin. Whether an athlete or weekend warrior; body fat is our greatest adversary preventing us achieving our athletic potential. We go to war in a relentless charge against an enemy which lies within; just under the skin. With innumerable theories and a plethora of contradicting opinions, how do we know what to believe? Low Body Fat Improves Performance and Enhances Vitality. The prime concern of most athletes is to preserve or improve muscle and health while reducing body fat. As well as formulating a plan for the fight, studying the successes and failures of those who have done battle; the athlete seeks those who walk the path. Those who walk the walk each day are the greatest teachers. It is only possible to correctly calculate an individual's nutritional needs by considering genetics, body type, body composition, gender, age, exercise intensity, frequency and duration and even then it is not an exact science. Monitoring and communicating with the person is an ongoing process to fine tune their nutrition to suit their lifestyle, exercise regime and goals. 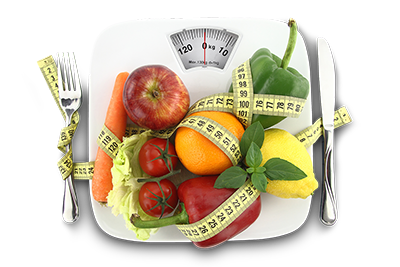 Many suffer diets in their elusive pursuit of losing weight, depleting their body of essential nutrients. Low-calorie diets starve the body, creating an unhealthy environment of multiple macro-nutrient (protein, carbohydrates & ‘good’ fats) and micro-nutrient (vitamin & mineral) deficiencies. When our nutrition is deficient, we are inefficient. The misinformed fall victim time and time again to the whims of a lucrative billion pound diet industry. Are they designed to keep people returning? Einstein said; the definition of insanity is to repeat the same thing again and again expecting a different result. 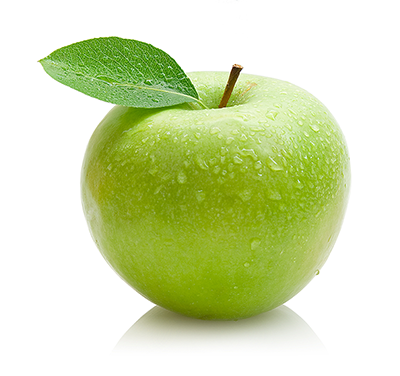 Rapid weight loss is temporary, most regain the weight lost and often a little more. We must take responsibility for our choices and practice self-discipline, education and patience. The habits we develop NOW create our future. Dieting is a fad, it has a silent ‘t’; it is what most feel like when they are, and ironically it is what is happening. It can be as unhealthy to be undernourished as it is to over-eat. 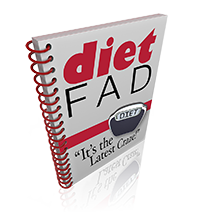 Diet is a four letter word! 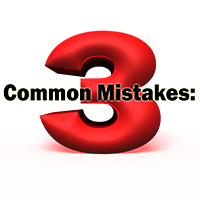 The misconception perpetuated by most weight loss centres by the overuse and inaccurate term ‘weight loss’ maintains their success. Starting NOW...Focus on ‘fat loss and muscle gain’: the true path to our enduring happiness and vitality. The goals we wish to achieve are attainable when we recognise then relinquish our imbalanced dietary past. Nutritional habits, as all habits are repeated actions. Each time we repeat the act we cement the habit. Good or bad, they are instilled. We are influenced by our parent’s food habits; although we choose our own path. In developing our better-self, is it wise repeating dubious actions expecting a different outcome? We must be architects of our futures. The paradox: what are we gaining? What are we losing? Believing we are not losing poor habits, we embrace better. If we welcome that belief as a shift of consciousness we will not find it difficult. When we accept the efforts required we relinquish poor dietary habits. 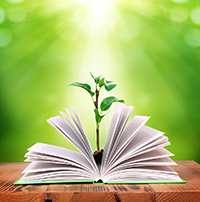 Recognising that developing our better-self is our responsibility. Refer to chapters, ‘Life Giving Foods’ and ‘Gluttony’. Whichever is deeply planted is never easily uprooted. Childhood habits are challenging to uproot. Tenacity and resolve are our tools. We will fall, we will fall again. If we fall twice we rise three times. Be educated about what we put into our bodies. Eating healthily is not rocket science, although it is a science! Common sense tells us what we should and should not eat, although sense is not that common. Poor nutrition drains our mental and physical energies. Good nutrition fills us with vitality: our skin glows, our eyes sparkle; we exude confidence, well being and a zest for life. Water is the most important nutrient the body requires. Two-thirds of our body mass is water: our lungs are approximately 90% water; our blood 82% water, our brain 76% water and our muscles 75% water. Water is life, it must be pure! Looking after ourselves enables us to look after others. A meal consists of protein and carbohydrates, ‘good’ fats and fibre, vitamins and minerals (portions calculated). E.g. tuna with whole wheat pasta and a drizzle of extra virgin olive oil, or salmon with brown rice; snacking on fruit in between. These meals are balanced with first class proteins and complex carbohydrates; they also contain ‘good’ fats and dietary fibre, with an array of nutrients (vitamins & minerals). Snack on vegetables and fresh fruit for energy in a 3:1 ratio (3 times the amount of vegetables to fruit), they contain water, fibre, 2nd class proteins, complex carbohydrates, vitamins and minerals. Balance essential fatty acids with foods containing Omega 3 and Omega 6 oils, such as fish, nuts and seeds (we often consume too much Omega 6 and not enough Omega 3). Refer to chapter, ‘The Fats of Life’. It is wise to appreciate this, so as not to follow the same path, or revisit it. 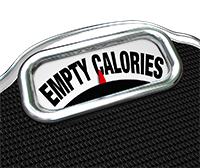 Severe calorie restricted diets below 1,000 calories per day up to 40% of weight lost is the body cannibalizing its own muscle tissue for fuel! We are designed to be able to store more fat than we use. 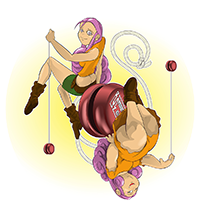 Reducing weight too quickly; confusing the body into a defensive, fat-preserving state. Sacrificing vital muscle tissue; the major body component that burns fat in the first place. Focusing on reducing weight rather than the correct approach of reducing body fat. 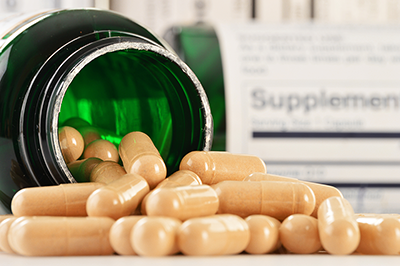 Studies show the majority of vitamins and minerals taken as supplements in pill or tablet form are not assimilated into our cells, therefore cannot be utilised by the body and are simply excreted. These supplements miss the entire digestive process that begins as soon as we put food into our mouths. The digestive system is complex with multiple steps enabling optimal absorption. It makes perfect sense that supplements in tablet and pill form are not absorbed as well if at all as well as food. Ideally in an imperfect world we should aim to get as many nutrients from ‘real’ food because our body is designed to assimilate nutrients most effectively from food. ‘Real’ food means organic whenever possible, fresh and locally produced. Processed foods and fast foods are not ‘real’ foods as they rob our bodies of essential nutrients being deficient to begin with so our body must compensate, making us further deficient. How do we make certain the fat we lose does not find us again? Taking responsibility enables us to choose the correct response. When we make educated choices with self discipline consistently, our patience will be rewarded. This is not pointing at someone who is fat, or to an undesirable place on our person! 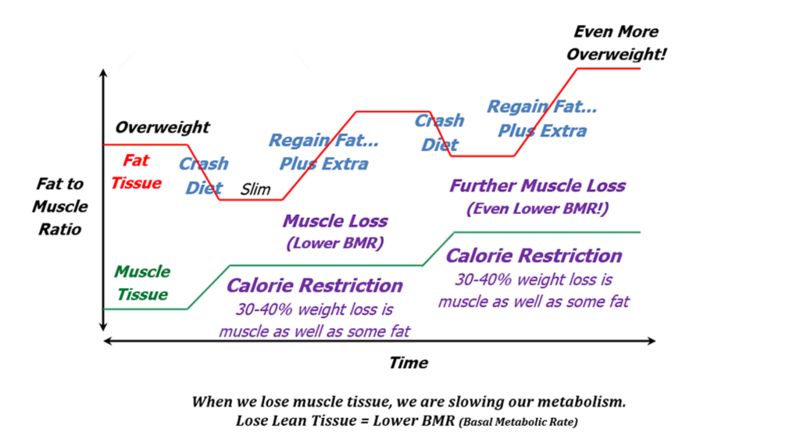 For permanent fat loss we must re-calibrate our fat-point. When we remain at a particular level of fat for 12 months or more, the body develops adipose cells, capillaries, enzyme counts, peripheral nerves, hormone levels and connective tissue to support it; recognizing that level of fat as self and defends it. This is our fat-point. Maintaining low body fat requires sustained effort, self-discipline and patience. When we have reached our target body fat level, our goal is to maintain this for six months or more. We will then be on our way to re-calibrating our fat-point. We will need to practice Self-Discipline, implement Knowledge and exercise Patience to achieve this. Lose body fat, not muscle tissue or fluids. Shedding body fat slowly – no more than 1lb per week (average). If we lose more it is likely we will be losing muscle tissue as well as body fat. We will be slowing our metabolic rate, making it almost certain the body fat lost will be regained. It is wise not to diet; better to improve nutrition quality... Ensure quality, quantity and timing of protein, include saturated fats over trans fats, eat less simple ‘refined’ sugars, eat more complex ‘unrefined’ carbohydrates and fibre and maintain omega 3 fatty acids. Make these changes part of our ‘Way of Life’ and continue for the rest of your ‘better’ life. Exercise regularly and be patiently consistent for it to become a ‘Way of Life’. Our exercise programme should contain both progressive resistance exercise and aerobic exercise. Both are vital in achieving and maintaining fat loss and maintaining and building muscle. Exercise in the a.m. to boost metabolism. Improve the quality and quantity of sleep; improving the metabolic rate and decreasing body fat, increasing bone density and decreasing loss of muscle tissue, increasing growth hormone and decreasing brain degeneration, not forgetting helping us generally feel good. Maintain your anabolic drive: stress less to maintain equilibrium of the body’s nervous, endocrine and immune systems. When stressed our nervous system reacts by releasing a tide of stress hormones, including adrenaline and cortisol. When these hormones are released for too long, too frequently, the long term effect is vital metabolic boosting muscle tissue is sacrificed; the short term effect is blood pressure and blood glucose levels elevate, and when stored sugars released are not used as fuel, this causes an internal environment favourable to storing fat. If you are following the principles above and fat loss is slow consult your G.P. and request for your hormone levels to be checked (e.g. insulin sensitivity, testosterone production, oestrogen/progesterone balance). For expediency we can arrange a consultation with our private doctor: a Comprehensive Health Check.